As hundreds of ATMs are being shut down in the wake of the WannaCry ransomware cyber attack, an expert has dubbed it as an interim measure while suggesting that the government should come up with national cyber security law rather than just "giving lip service." "Hundreds of ATMs being shut down in India is recognition of fact that the ransomware attack which has to happen globally is increasingly also looking at India. Merely shutting down ATMs is interim ad hoc measure. India needs to look at some more holistic perspective with how to deal with cyber security. Its time for India to come up with national cyber security law which can actually go ahead and define what is going to be the roles, duties, and responsibilities of various stakeholders," cyber expert Pawan Duggal told ANI. Asserting that India should expand the scope and ambit of its coverage of cyber crime, Duggal called for sound cyber security norms, frameworks and policies for building the 'Digital India' ecosystem. He further said that ransomware should be recognized as a stringent punishable offense under the Indian law. "Ransomware is still not a cyber crime that is recognized under the Information Technology Act 2000 and it does not get fully covered by the provision of the Indian Penal Code. We should make ransomware a stringent offense punishable with minimum 7 to 10-year imprisonment and fine," he added. Duggal further said that India needs to look at more international cooperation in the context of to detection, investigation, and prosecution of these ransomware base attacks. "Merely shutting down ATMs might be a good interim measure but in a long term measure the government should come up with capacity building programs that inculcate cyber security as a way of life among Indian population and inculcates cyber law education as part of school curriculum," he added. WannaCry, the ransomware cyber attack that has affected computers worldwide, has made its way to India, affecting states like West Bengal, Andhra Pradesh, Telangana, and Kerala. 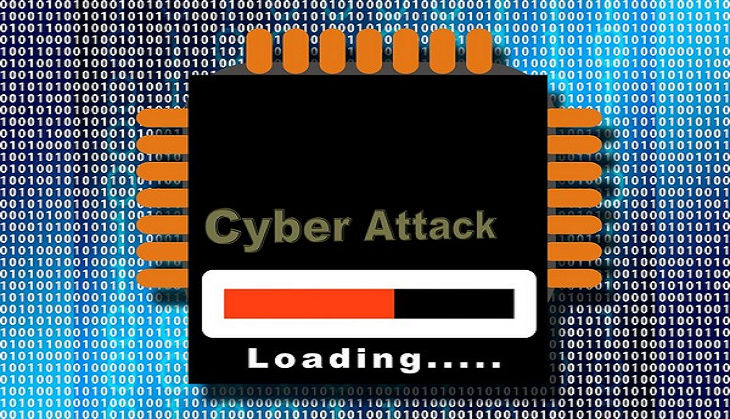 The cyber attack has been deemed as the biggest in history even as IT specialists suggest that the cyber criminals responsible have not made many monetary benefits. The Centre, however, assured that India is not a victim of the ransomware attack, adding that the government is keeping a very close watch to ensure that these attacks can be addressed in an effective manner. "As far as this cyber issue is concerned, the Government of India is keeping a very strong watch on it. As per our information up to date, there have been isolated incidents in very limited areas in Andhra Pradesh and Kerala. But we have been updating our whole security measures since March itself, software has been installed," Union Minister of Information and Technology Ravi Shankar Prasad said. Prasad further said that the government is in touch with the banking system to reinforce their architecture. "All these things have led to the current situation that India is not at all the victim of the attack in the manner the other countries of the world are facing today," he added. IPL 2019: World Cup टीम में न चुने जाने के बाद जब विजय शंकर के सामने आए अंबाती रायडू, फिर..